At 7:30pm every night, my seven year old daughters knows that it is time for her to get ready for bed. My daughter knows to get her pajamas on, brush her teeth, floss, and go potty before she gets into bed, all by herself. Once she’s in bed, she tells me she’s ready for goodnight kisses, so I go into her room to tuck her in, give her a sweet kiss goodnight, turn off the lights, and close the door. By 8:00pm, she is sound asleep and I don’t see her sweet little face again until the next morning. That’s how my child going to sleep was supposed to go and perhaps this is a reality for some lucky families out there. Unfortunately, my family is one of many who suffer through Bedtime Battles pretty much every night. My daughter has ADHD (Attention Deficit Hyperactivity Disorder), so her mind and body are constantly on the go. It truly is like she is driven by a motor and it is very difficult for her to calm herself and settle down. Like many children with ADHD, my child takes medication to help her focus better in school. Unfortunately, these medications aren’t perfect and come with a number of side effects, one of the most common being difficulty falling asleep. When you add giving something that causes restlessness to a child that already has a difficult time falling asleep, the results are a real nightmare! At 7:00pm, an alarm on my phone goes off, indicating that it is almost time for my daughter to start getting ready for bed. She whines and complains that she hardly had any time to play today. It takes her a while to choose one last activity to do, whether it is playing dolls, drawing a picture, eating a snack, or watching a TV show. She’s getting better at making a quicker decision, but most nights, it takes her about ten minutes to finally make a choice. At 7:30pm, another alarm on my phone goes off, indicating that it is now time to get ready for bed. I chose the alarm to be happy birds chirping in hopes of setting a happy mood for my child. Her mood is far from happy. Here come the tears! “I don’t want to go to bed!” “Sleeping is boring!” “Five more minutes, please!” I stay strong and tell her to go upstairs and get into her pajamas. While I’m getting a glass of water for her to keep on her nightstand, she tells me that she wants to sleep in just her underwear. Fine. I let her. Now I’m upstairs and it is time to brush her teeth. I still have to do it for her, because her idea of brushing her teeth consists of just sticking the toothbrush in her mouth and biting and sucking on the bristles. Time to floss? Yeah, not going to happen. I just spent the past ten minutes trying to brush her teeth while she wiggled around and kept trying to tell me about all of the characters from season six of Shopkins. I’ll floss her teeth in the morning, I think to myself. (Side Note: I forget to floss her teeth in the morning.) I then tell her to go potty. “I don’t have to go,” she says. “Just try,” I say. She sits on the toilet and I feel like she is purposely trying not to pee. Why, you ask? To prove a point, I guess. What point, you ask? I haven’t the slightest idea. I tell her that she shouldn’t hold her pee like that, because she could get a bladder infection, but she insists that she really doesn’t have to go. After five minutes of arguing with her, I give up. Into bed we go… or not. I tell her to get into bed, but on the way there, she stops to play with some toys that are on the floor, put on some bracelets, do somersaults… basically anything besides getting into her bed. She finally gets into her bed and I read her one chapter from one of her Judy Moody books in an attempt to relax her. While I’m reading it though, she’s playing around with her stuffed animals, asking me questions about the story every couple of minutes, requesting sips of her water, and fanning herself with her bedsheets. The chapter is over and I turn off the lights. She asks if I can sing her a lullaby, so I sit next to her and sing “A Dream Is A Wish Your Heart Makes” while I give her a back massage. Her eyes slowly close and she looks like she is finally settled down and falling asleep, so I give her a kiss, whisper “Goodnight,” and head for freedom. Just as I’m almost out the door, she jumps out of bed like a Jack In The Box and proudly announces that she has to pee. Oh, for the love of God! In an effort to get my child to settle down at night and fall asleep easier, I have tried starting her bedtime routine both earlier and later, not allowing her to use electronics within two hours before bedtime, giving her warm milk, having her drink tea, and using lavender scented lotion and candles. Unfortunately, none of these have helped very much. 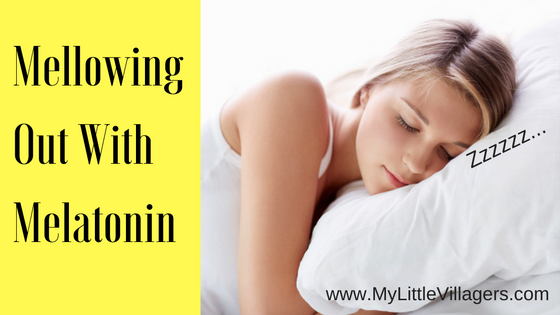 I am very active in the ADHD community and Melatonin has come up quite a lot as a sleep aid for people with ADHD, so I thought I’d research it and give it a try for my daughter. 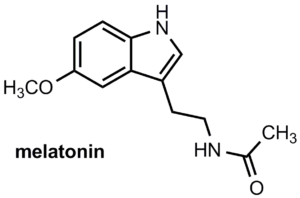 Melatonin is a natural occuring hormone made in our bodies. It is made from our pineal gland, which is about the size of a pea and located just above the middle of the brain. During the day, the pineal gland is inactive, but in the evening and during the night, it is active. Basically, it is what gives you the feeling of sleepiness and helps you fall asleep and stay asleep. 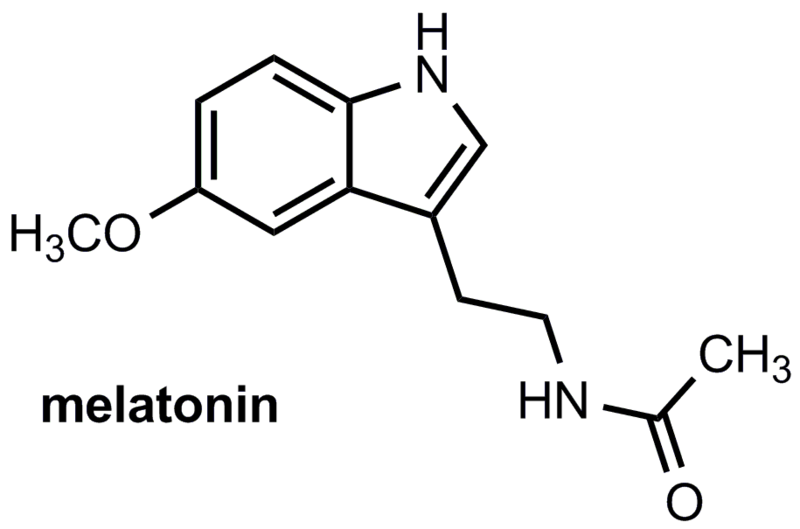 In general, children produce higher levels of Melatonin than adults, but children with ADHD produce levels of Melatonin much closer to an adult’s level. 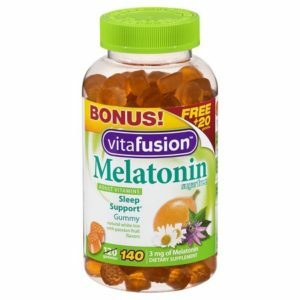 Where are Melatonin supplements sold? For the past month, my daughter has been taking Melatonin one hour before bedtime. I am very happy to report that it has helped my daughter settle down at night and fall asleep much easier and faster. What used to take her hours to fall asleep now takes her about 15 minutes. She still complains when I tell her it is time to go to bed, but I think that’s just standard behavior for a seven year old. When I now read her a bedtime story, she no longer wiggles all over the place. She’s able to calm her mind and body and fall asleep with ease. Not only has Melatonin improved her sleep, it has improved her morning demeanor as well. Since she has now had a good night’s sleep, she is more rested and happier in the morning. If you or your child have a difficult time falling asleep, I definitely recommend mellowing out with Melatonin. As mentioned earlier, Melatonin is a naturally occurring hormone in our bodies and it is very safe to take in small amounts. I would recommend taking the gummy dietary supplements like my family does, because they are cheap, chewable, and tasty. Consult with your doctor about the right dosage and make sure it will not interfere with any other medications you may be taking.